This entry was posted in Programmateur de clés and tagged skp900 on October 28, 2016 by sales. Original SuperOBD SKP900 Key programmer new software V4.4 updated. How to update SKP900 key programmer ? This entry was posted in SKP900 and tagged skp900, SKP900 programmer, SKP900 update on October 10, 2016 by sales. Avis de Promotion: SKP900 est maintenant avec 480EUR jusqu’à la fin de Août. 1) Produits originaux à 100%. Fabriqué par la société de super-OBD. 2) Le logiciel est mis à jour en ligne pour toute la vie. Un nouveau logiciel sera publié sur chaque mois. This entry was posted in SKP900 and tagged SKP-900, skp900, SKP900 programmer, SKP900 update on August 16, 2016 by sales. But since there are many kind of key programmer in choose, so how to select the best one from x300 pro3,skp900 and x100 pro ? Here you can easily to get the difference list between this three items. Whit this list, i guess it is easy to select the best one for your car. This entry was posted in OBDSTAR and tagged skp900, x100, x300 pro3, x300 pro3 programmer on July 27, 2016 by sales. What car models to work with? 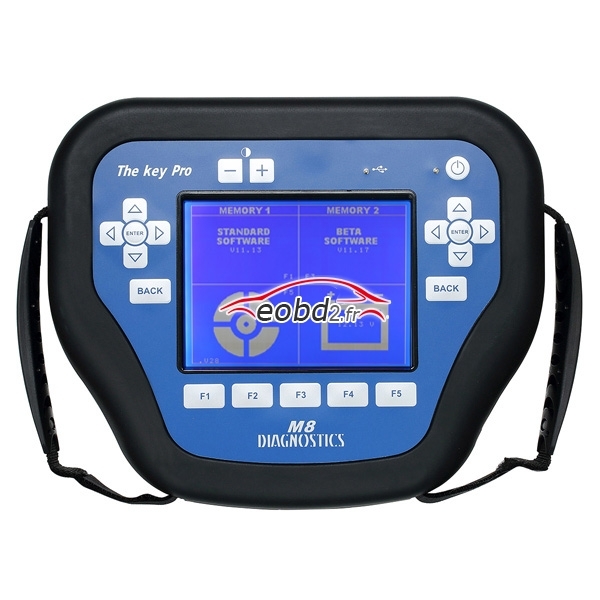 The key pro M8 auto key programmer works with most popular car models in the world from Europe, America and Asia, and SKP900 can even cover some Chinese car models. 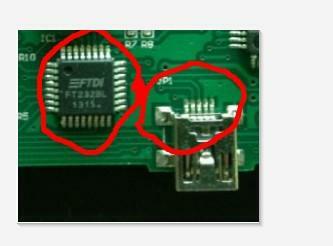 468 key pro can only copy ID46 chip, read and write ID46 chip inform. But, Key pro M8 cover more car models than skp900 auto key programmer and 468 key programmer, it is an idea tools for a professional car locksmith who are supposed to make lots of keys for a number of brand car models. Can it make key when all keys lost? Key pro M8 and SKP900 can make new key when all keys lost, but 468 key pro III can only copy ID46 chip with the original chip. What kind of key it can make? Generally speaking, Key pro M8 can make auto transponder keys and auto remote keys; SKP-900 can read and program auto transponder keys, auto remote keys and auto smart keys; 468 key pro III can only copy ID46 chip. Do they work with your specific car keys; you need to check the user manuals in the package, if you don’t have. What way to match key? Both Key pro M8 and SKP900 can make key by directly plugging the OBD diagnostic cable with the car, and 468 key pro III copy the key by inserting the original key in the hole of the machine. Both Key pro M8 and SKP900 need tokens, when the tokens end Key pro M8 need money to add tokens and SKP900 add tokens for free. 468 key programmer need no tokens. Can it read pin code and does it need pin code? 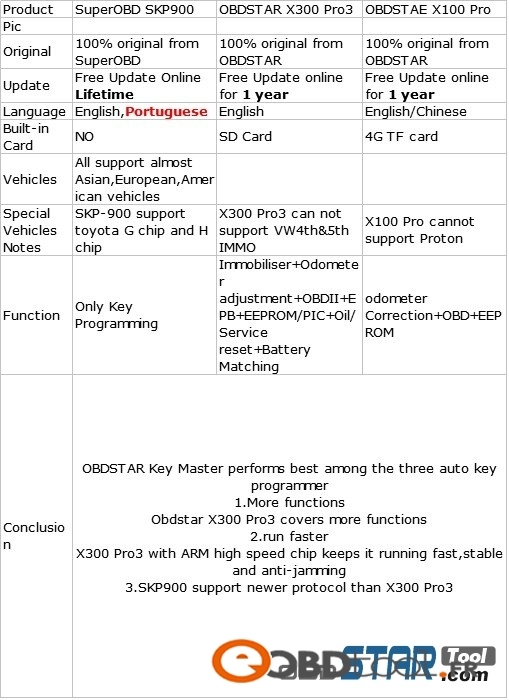 Both Key pro M8 and SKP900 can read pin code for many car models and at the same time can’t read pin code for some cars, also don’t need PIN code when programming keys for many vehicles. All of the three key programmers can update, Key pro M8 update for one-year free, and SKP900 is now free of charge to update. As for how to update, the supplier also offer update way in the site. In my option, there is no best or worst tool. Again I want to say: no tool can do all, each tool has its pros and cons, which one tool to buy it depend on your personal needs and budget. This entry was posted in Programmateur de clés and tagged 468 key programmer, m8 key pro, skp900 on March 24, 2016 by sales. Ce qui est nouveau pour cette version? This entry was posted in Programmateur de clés and tagged skp900, skp900 key programmer on March 14, 2016 by sales. 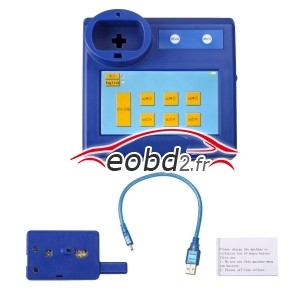 More basic information about the SKP900 Key programmer: http://www.eobdii.fr/wholesale/superobd-skp-900-hand-held-obd2-auto-key-programmer.html. This entry was posted in Mise à jour Nouvelles, Programmateur de clés, SKP900 and tagged auto key maker, chrysler key programmer, ford key programmer, pin code reader, skp900, toyota key programmer, universal key programmer on December 28, 2015 by sales. SuperOBD SKP-900 key Programmer Portuguese Version V3.8 Released! 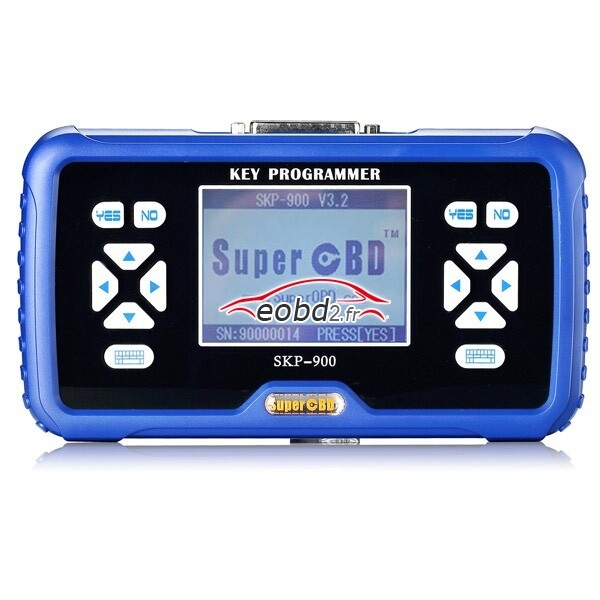 SuperOBD SKP-900 key Programmer is one multi-brand car key programming. This device updates frequently. And you can see the newest update bellow. This entry was posted in Mise à jour Nouvelles, Programmateur de clés, SKP900 and tagged auto key maker, chrysler key programmer, ford key programmer, pin code reader, skp900, toyota key programmer, universal key programmer on December 9, 2015 by sales. As we have mentioned, the SuperOBD SKP-900 Hand-held OBD2 Auto Key Programmer can support all keys lost programming. Today we shared the all keys lost tested model for you to check. 2005 – NISSAN 350Z – WAS ABLE TO PULL BCM BUT COULD NOT PROGRAM KEY. I THINK JUST NEED TO PLAY WITH IT LONGER. From the tested model, you can check if your car model is supported. More question, contact sales@eobdii.fr. 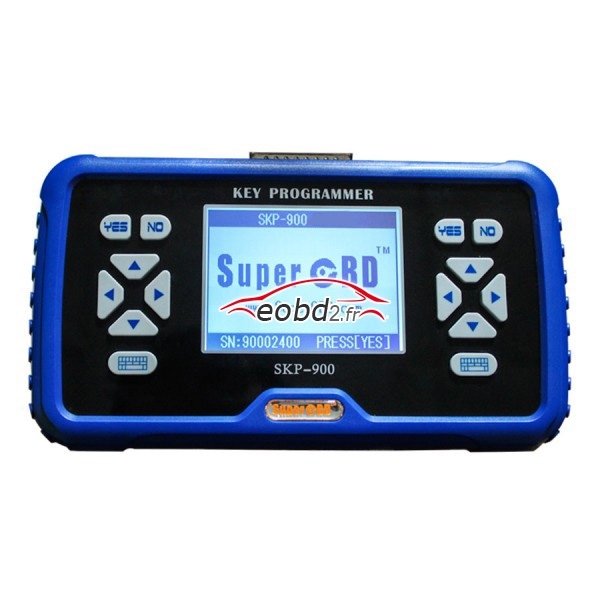 SuperOBD SKP-900 Auto Key Programmer: http://www.eobdii.fr/wholesale/superobd-skp-900-hand-held-obd2-auto-key-programmer.html. This entry was posted in Programmateur de clés, SKP900, Soutien technique and tagged auto key maker, chrysler key programmer, ford key programmer, pin code reader, skp900, toyota key programmer, universal key programmer on November 18, 2015 by sales. SuperOBD SKP-900 Hand-held OBD2 Auto Key Programmer Device No Communication Solved! Q: I bought one SuperOBD SKP-900 Hand-held OBD2 Auto Key Programmer from you. When I connect the interface with my computer, there is no communication. I changed another USB cable, but still the same. How can I do? A: Do not worry. Please check the device management. And open the SuperOBD SKP-900 interface. The weld the chip in the red circle. Your problem will be solved. Any question, contact sales@eobdii.fr. This entry was posted in Programmateur de clés, SKP900, Soutien technique and tagged auto key maker, chrysler key programmer, ford key programmer, pin code reader, skp900, toyota key programmer, universal key programmer on September 13, 2015 by sales.